Afer year-long negotiations with the government of Pakistan on motor industry-friendly perks, the auto giant has replaced the Cultus with Celerio. 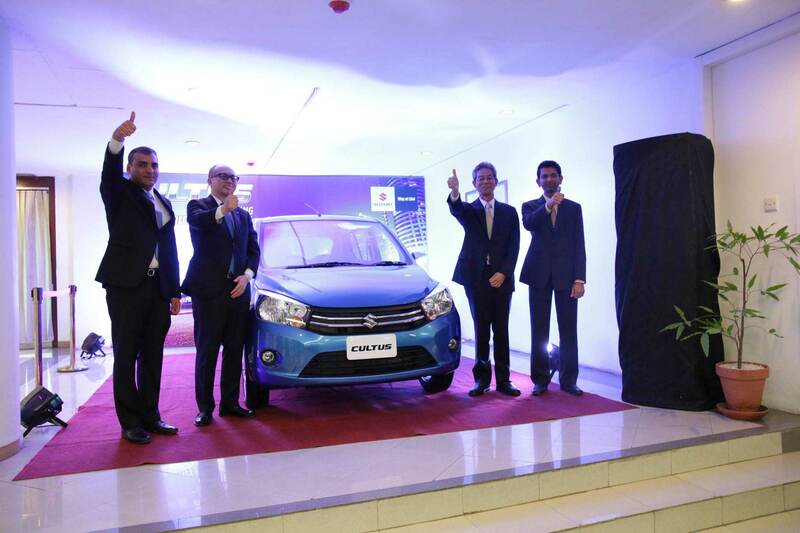 PAK Suzuki Motor Company has been out of options lately to bring new products to Pakistan. The company’s decision to bring high-priced Vitara is almost firing back, pushing the company to take some innovative steps. Absolutely no idea what those thumbs ups are for. The 1000CC Suzuki Cultus will come in two variants, VXR and VXL, something Suzuki enthusiasts are already aware of. The earlier is about a rupees hundred thousand cheaper while the later comes with power windows. Both variants will come with features like ABS and airbags. Under the hood, multi-point injection K10B 998cc engine powers the car. This engine has a power output of [email protected] rpm. It produces 90NM @ 3500 rpm of torque. Suzuki Cultus VXR will be sold at around 1.25 million Pakistani Rupees and VXL cost around 1.35 million Pakistani Rupees.